I currently sell my work through the SAM (Seattle Art Museum) Gallery, in person through my studio, and through my new Etsy shop. I am very excited about the launch of the shop and I hope you will take a look. You may also purchase work directly from my website through the Shop link in the menu. If you use the menu link you will remain in the Iskra Fine Art interface and will enter Etsy only at checkout. To keep up with my latest work and what’s happening in the studio subscribe to my blog and newsletter. A selection of my work at SAM Gallery can be seen here. The gallery has a wonderful new space in the museum in the heart of downtown Seattle. One of the unique and very smart things the gallery offers is the option to rent art as well as purchase. Many companies and individuals start by renting art at a very affordable monthly rate and then decide to purchase, with the rental costs going towards the purchase. My mid-sized print prices range from $300 to $1,800 –$2,500 for larger prints, and the cost is the same whether you purchase from the gallery or through me. On Etsy I am offering a wide range of work at smaller sizes to allow people to purchase a many different levels. To learn more about my prints and about digital printmaking go to the print section of my website. If you choose to buy from me directly I can ship unframed prints to you if you are out of the area, or I welcome you to contact me for a studio visit, where you can see a large body of work and examples of framed art. I am happy to collaborate on special site-specific projects. 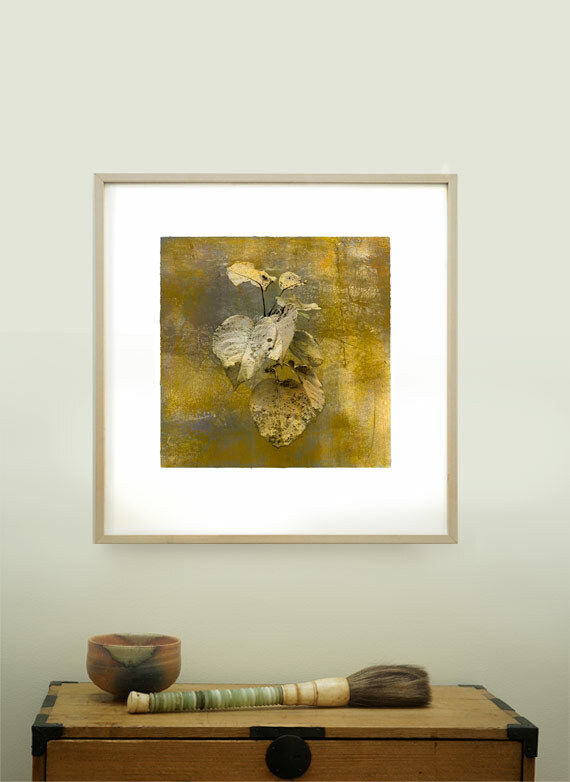 Although most of my prints are intended for specific papers and are sold in editions limited in set and quantity some of them may be printed on alternate surfaces such as metallic papers and face-mount acrylic, or mounted on panel. I also work in many other media besides printmaking, and I sell my drawings and paintings directly or through SAM Gallery. The prices of these pieces vary greatly depending on medium and size, so if you have interest in a particular piece please feel free to contact me for more information. Living with art. A print of the beloved Japanese Pear Apple in my garden, in autumn.